2. 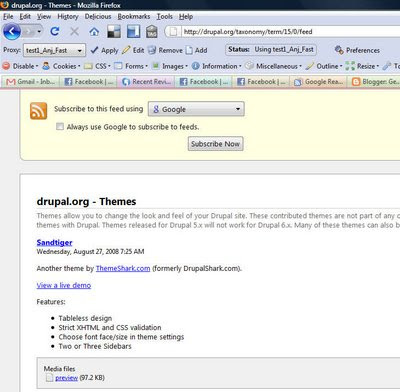 Drupal.org- Drupal Themes Feed: Similarly http://drupal.org/taxonomy/term/15/0/feed - RSS feed keep you updated with the latest themes. 3. 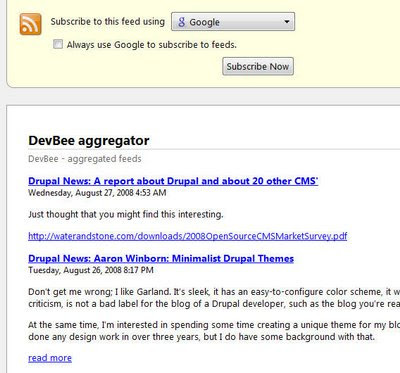 DevBee Aggregator: at http://devbee.com/aggregator/rss gives you all the latest news and happenings in the Drupal domain/Community. 4. 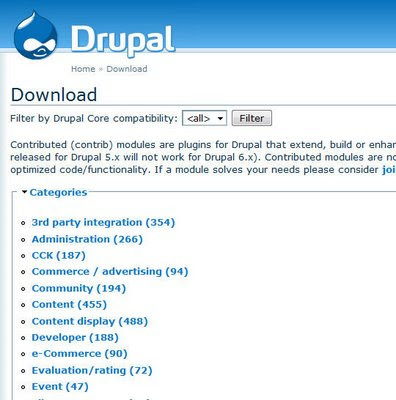 Drupal.org - Module Development : RSS at http://drupal.org/taxonomy/term/4/0/feed will keep you updated with all the happenings of the Drupal module Development scene. 5. Drupal.org - Theme Development: RSS can be consumed at http://drupal.org/taxonomy/term/3/0/feed for all your theme development needs. Hope you subscribe to these RSS feeds and reap maximum benefits.